Easter is right around the corner, which means you need to start planning your holiday meal. After all, delicious food has the power to bring loved ones together and put a smile on everyone's face. With the Oster® Total Prep 10-Cup Food Processor, prepping and preparing ingredients for your meal has never been easier. If you aren't a fan of ham or want to switch up the menu this year, you have to make this delicious honey-baked pork roast. Instead of dealing with all the sodium and preservatives of store-bought hams, feed your loved ones a roast that is juicy and unlike any other. The addition of homemade mayonnaise makes the dish even more fresh and healthy, which will keep people coming back for seconds. 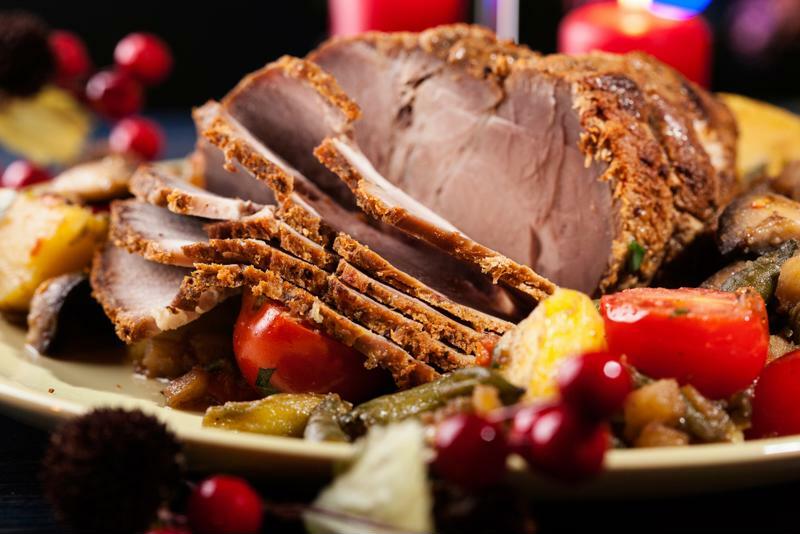 You definitely want to include this pork roast recipe on your menu this year. To make the homemade mayo, combine egg, lemon juice, mustard, vinegar and salt in the Oster® Total Prep 10-Cup Food Processor. Blend for 30 seconds. Add 1/4 teaspoon of oil a little bit at a time to mixture while blending. Keep blending until thick and smooth. Put in container and chill until ready to use. For pork roast, heat oven to 300 degrees. Trim pork roast, leaving fat and discarding skin. In mixing bowl, combine salt, pepper, sugar, cinnamon, cloves and ginger. Rub 2 1/2 tablespoons honey on pork. Rub dry mixture over pork. Place roast fat-side-up in a foil-lined broiler pan. Bake in oven for 3 to 3 1/2 hours. Remove from oven and let stand for 15 minutes. Combine honey, homemade mayo mustard, vinegar and red pepper and blend in the Oster® Total Prep 10-Cup Food Processor. Serve sauce with the pork and enjoy! This dish will make your family love Brussels sprouts once again. You can even kick it up a notch and add even more savory flavor by frying the Brussels sprouts in bacon grease. Shred Brussels sprouts in your Oster® Total Prep 10-Cup Food Processor. Heat butter and olive oil in skillet over medium-high heat. Add Brussels sprouts, salt, pepper and smoked paprika. Cook until tender, then stir in balsamic vinegar. Season to taste and serve hot. 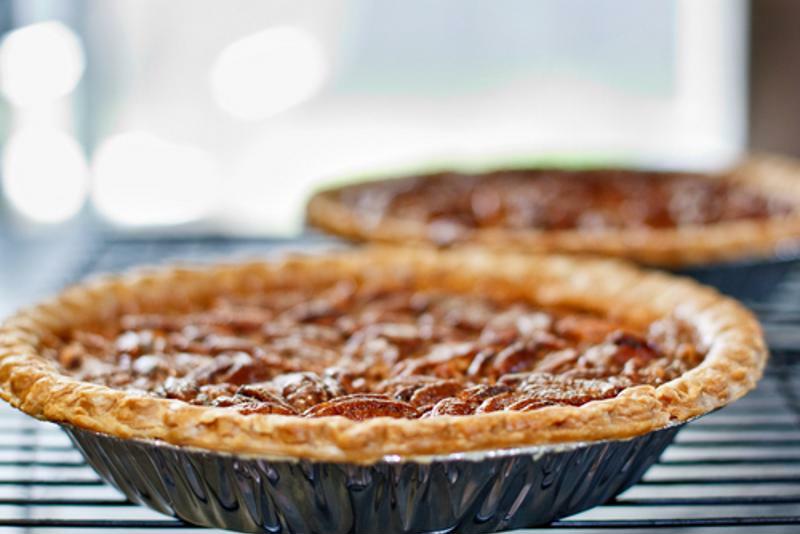 You want to have a pecan pie on your menu this year. If you have never tried pecan pie before, now is your chance. This incredibly sweet, nutty dessert makes the perfect addition to any Easter meal. Certain recipes for pecan pie call for halved or whole pecans, but this approach means you won't always get an explosion of nutty flavor with each bite. This is why you want to chop up your nuts first, which will give you the perfect crunchy texture and taste. Heat oven to 350 degrees. In a large mixing bowl, combine brown and white sugar, salt, eggs, corn syrup, butter and vanilla. Chop pecans in the Oster® Total Prep 10-Cup Food Processor. Pour chopped pecans into the bottom of the unbaked pie shell. Pour syrup mixture over top. Cover pie with aluminum foil. Bake for 30 minutes and then remove foil and continue baking for another 20 minutes. Take out of oven and let set for at least an hour before serving. Enjoy! Indulge your sweetheart with a divine dessert this Valentine's Day.